Peonies and Paper Chains: Stampin' Up! Sweet Sorbet Bricks! Stampin' Up! Sweet Sorbet Bricks! Today I am sharing a piece of framed art that is easy to create and could take on almost any feel you like depending on your choices of paper, ink, and stamps! My project has been created using some upcoming Sale-a-bration items (everyone loves a sneak peek, right?) as well as some "staples" from the annual catalog. 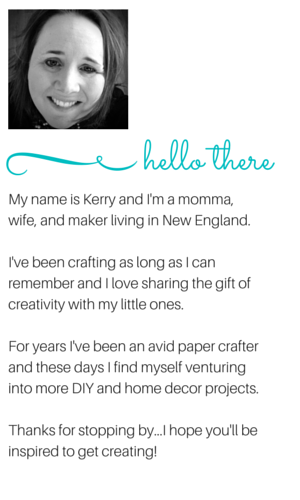 You may be stopping by for the first time from Stampin' Pretty, the blog of Mary Fish. Thank you to Mary for having me today! I'm delighted to be a part of Mary's week long "Stampin' with the Stars" series...what incredible creations that we've seen so far! Mine is the first (and perhaps the last) home decor project to be featured. Also, picture frames are pretty easy to come by here in the USA and you can often find great deals on frames at antique stores, flea markets, and retailers such as Target and Home Goods. I never buy mine at full price. This project is almost 2 years old and the "p" had long since fallen down...clearly it was time for a change! I played around a bunch with "brick" sizes and spacing in between and a sheet of grid paper was perfect for doing so. Now that I have done all the figuring, you get to skip this step! Do tell...what Designer Series Paper would/will you use for a project like this? Hope you'll be inspired to create something today! Thanks so much for stopping by! P.S. Like what you see? Sign-up for blog updates so you won't miss a thing!